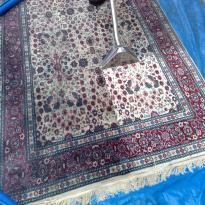 We understand that rugs need specialized expert cleaning. 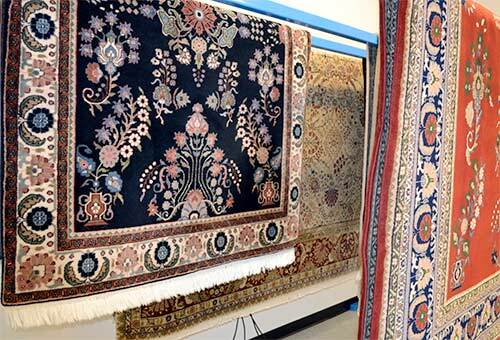 Our rug laundry service is designed to suit any type of rug from oriental, Persian, handmade, shag, machine made and fiber types like wool, silk, cotton and synthetic. So no matter what the shape, size or make of your rug you can be confident that our expertise and know-how to restore them to their original beauty. 1. 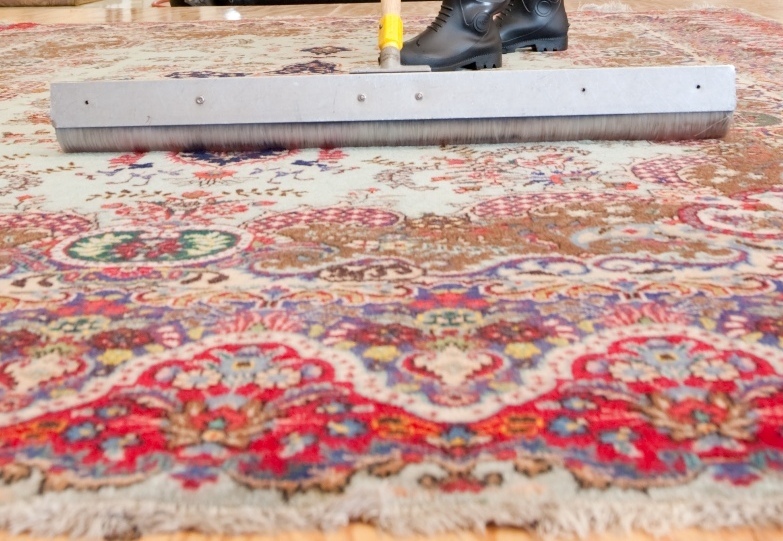 We first pre-inspect your rug for fading, stains, color instability, odors, and any pre-existing damage so we can tell you exactly what to expect from your clean. 2. 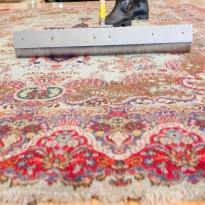 Our next step is to run your rugs under our industrial vibrating machine to remove deep set soil particles within the rug fibers. 3. 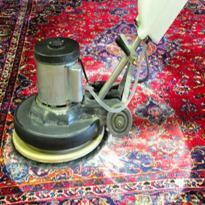 We then treat spots and stains where necessary. 4. Then special high quality cleaning agents are applied. 5. 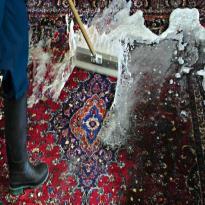 Your rug is then run through either a submersion wash or our low moisture cleaning process, perfect for delicate fibers. 6. The rotary scrubbing of cleaning agents ensures thorough soil separation from fiber for a more superior clean. 7. Gentle cold water rinse then run through a wringer to remove water excess. 8. Then placed in a regulated, temperature controlled drying room. 9. 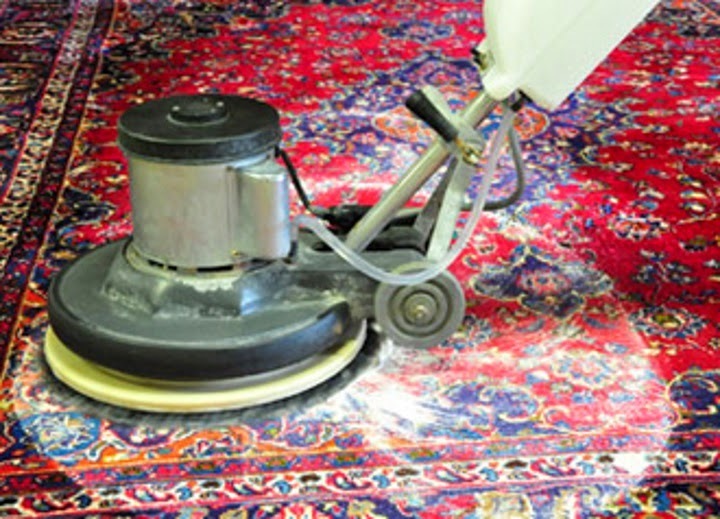 Our final step is to inspect the fringes, any spot stain treatment that may be required, then vacuumed and groomed ready for delivery. 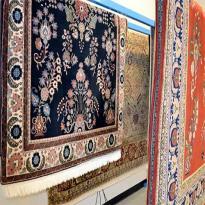 We all love our pets but the odors and stains they leave in our rugs are a little harder to love! Unfortunately these smells and stains caused by ammonia, uric acid and salt in pet urine can permanently yellow or brown fibers and can't always be removed. Although we do our very best using the latest neutralizing and deodorizing treatments available, we can't guarantee that all these pesky pet problems will completely disappear.